The Journal of Environmental Investing (JEI) is pleased is to announce the relaunch of our website, www.thejei.com. As part of the JEI’s expansion of its editorial focus, the new website includes a regular flow of content on topics ranging from Carbon Policy to Energy Innovation and much more. We’ve also expanded our editorial calendar and identified a number of key topics for our upcoming journal issues. 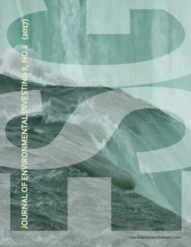 The JEI considers peer-review research manuscripts, white papers, working papers, point of view pieces, reports on environmental investment data, and book reviews. We also invite investors involved with environmental investing to submit case studies for possible inclusion in upcoming JEI issues. Papers can be submitted via email at submissions@thejei.com. Suggested author guidelines are available for your reference on the JEI website, under Information for Contributors; information on the types of submissions accepted can be found under Types of Manuscripts Sought.